I'm working on fixing the format of these previews to make them more useful and less redundant. Seen here is the somewhat understandable rage of a man who watched his receiver pick daisies rather than play attention to the football hurtling toward his head. 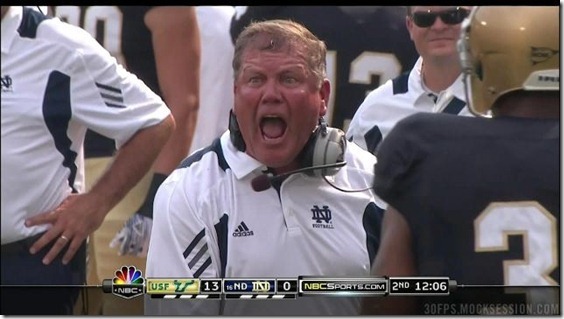 Notre Dame fans are enraged by his, urm, rage. Everyone else just thinks it's funny. But I digress. Not all was terrible for the Irish on Satruday. Despite losing to a vastly inferior team at home with incumbent starters at most of the important positions, the Irish literally doubled USF's yardage (508 to 254, respectively). When not throwing interceptions, the ND quarterbacks combined to go 31/49 on 8.0 yards per attempt. Running back Cierre Woods had 104 yards on 21 carries with one touchdown. And pterodactyl Michael Floyd pulled in basically everything thrown his way on the path to a 154-yard, two-touchdown day. But alas, all of that was for naught as the Irish fell amidst Monsoon South Bend. I don't know what this is, but I'm pretty sure it wants you to take your pants off. 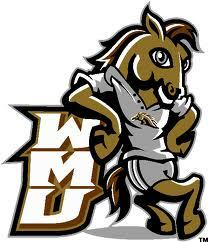 Western Michigan 10 - Michigan 34. Things were sunnier in Ann Arbor went more smoothly for the Wolverines on Saturday as they beat Western Michigan 34-10 in a game that was shortened due to weather. After some early-game defensive hiccups, the Wolverines were finally able to put together a gameplan to take down the mighty Broncos of Western Michigan. The Wolverines were led by, of all things, a defense that outscored the Broncos and shook quarterback Alex Carder to his core with an endless barrage of blitzes dialed up by new defensive coordinator Greg Mattison. The Wolverines offense, meanwhile, was limited, both in terms of the schemes they showed and the amount of plays they ran. Because of the defensive touchdowns and the shortened game, Michigan only ran 39 offensive plays in which they were supremely underwhelming, putting up only 288 yards of offense against a remedial MAC team. 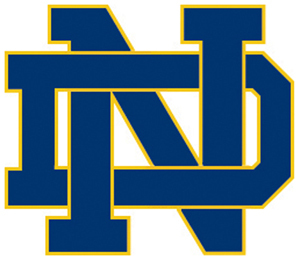 Whether or not they were being intentionally basic will be seen against the Irish. For the sake of this season, let's hope there's more to offer than what we saw against WMU. If you had any hope that Michigan 2011 would look like Michigan 2010 offensively, creating terror and havoc for the Notre Dame defense, Michigan's matchup against WMU should have squashed those dreams. There are whispers of Michigan unloading a whole bag of tricks on Notre Dame that they hadn't shown against WMU, which seems pretty pie-in-the-sky. Besides, I'm not sure this coaching staff has that kind of tarping in them. You should expect to see everything that Michigan ran against Western Michigan in week one plus a few new packages sprinkled in here and there. Like the Carr-to-Rodriguez transition, it takes time to implement an offense, to the point that we're going to struggle through a fairly limited playbook for most of the season. Notre Dame has an incredibly talented but also mostly untested defense led by 5-star linebacker Manti Te'o. Te'o is the real deal and when he wasn't being flattened by Patrick Omameh last year, he was solidifying himself as a linebacking terror. Michigan is going to have difficulty running up the middle against the Irish, so getting Denard and Co. to the outside where they can make a few defenders miss will be crucial. Despite completing 9 of his 13 passes against WMU, Denard will need to have a better day against Notre Dame if Michigan is going to have any shot. Versus the Broncos, Denard looked shaky in the pocket and showed hints of the inaccuracy that plagued him toward the end of last year and that we saw again in the spring game. Though while it's almost a certainty that he won't replicate last year's performance against the Irish, Denard is fully capable of correcting some of the issues he showed against WMU. In the backfield with Denard will be Fitzgerald Toussaint and whoever comes in when he needs a rest. Toussaint looked head and shoulders above the rest of the running backs in week one and has appeared to have solidified his spot as the starting running back. It'll be interesting to chart his progress through the year, but Notre Dame presents a real challenge. With talented linebackers, Toussaint will need to show some of the shake-and-bake he did versus WMU in order to pick up good yardage. Again, though, expect inside rushing to be hit or miss. Against Western Michigan, Greg Mattison showed what Michigan fans had been anticipating since his arrival: a variety of zone blitzes and schemes that kept the Broncos offense on its heels. After a troubling first quarter that saw WMU march down the field like they were playing Michigan's 2010 defense, Mattison released the hounds and it showed both on the scoreboard and the field. 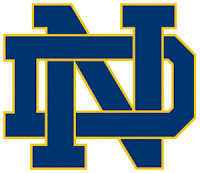 Notre Dame is a different beast though. What Rodriguez is to the running spread, Brian Kelly is to the passing spread: an offensive-minded scheming guru that can throw a variety of plays at a defense to keep them always guessing (and usually guessing wrong). I said before the season that I expected this to be a loss and despite ND bombing masterfully against South Florida, I'm sticking to that prediction. Michigan's offense looked to restrained and inconsistent against Western for me to really have faith that they can compete with a potentially high-powered offense like ND's. If this is a high scoring game and Denard is not repeating his performance from last year, Michigan is sunk. I expect Denard to have a pretty lackluster day, completing somewhere just over 55% of his passes. He'll also throw his first interception of the season, probably because of an inaccurate toss rather than a poor read. On the ground, I'm guessing it's going to be tough sledding. Running between the tackles will be tough against a solid front seven, and Borges showed no inclination to get Denard outside to run. Maybe that will change in this game, but I'll believe it when I see it.